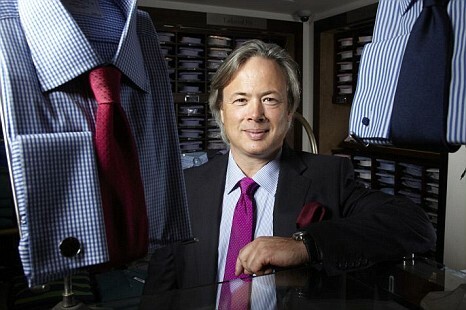 Nick Wheeler has been selling shirts for 30 years, having started Charles Tyrwhitt, the company which bears his two middle names, in 1986. It started as a mail-order business while he was in college and is now online with shops around the world. 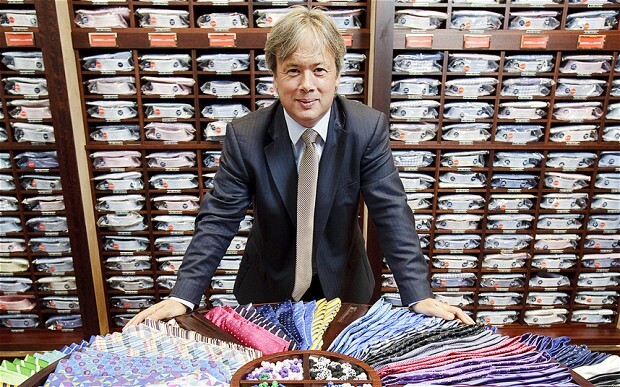 In 2015, Charles Tyrwhitt made £185m in sales (over $250 million dollars). He has been running businesses for much of his life. While at school, he ran a photography business and also sold Christmas trees. Like many entrepreneurs, Nick’s had his failures as well as successes. You can’t have been in business that long without having a few tales to tell. However, every time he’s picked himself up dusted himself off and started looking for the next thing. Luckily, he shares a few of his stories with us so we can learn from the mistakes and the failures. Hopefully, we can all enjoy similar success in the future. The idea of working for someone else never appealled to Nick. He says that when you do something well for someone else, they take the credit. When you do something wrong, you get sacked. So Nick always wanted to receive recognition for his work. He wanted to take the credit for his successes and failures. And he was always destined to be an entrepreneur. It was all he ever wanted to do. Nick, along with his father grew flowers, and then before school each day, they both picked and sold them at the market. When he started his mail order shirt company, Charles Tyrwhitt, he was still at college, fitting it in around lectures for two years, and then a further two years while working as a consultant at Bain. Working by himself became tough so he hired a work colleague and continued for another four years with just the two of them. He was doing everything — answering the phones, marketing, and packing. And as the company grew, Nick gradually hired people to do all the roles he had been trying to fulfill himself. It was then that he discovered others could do those jobs better than he could. 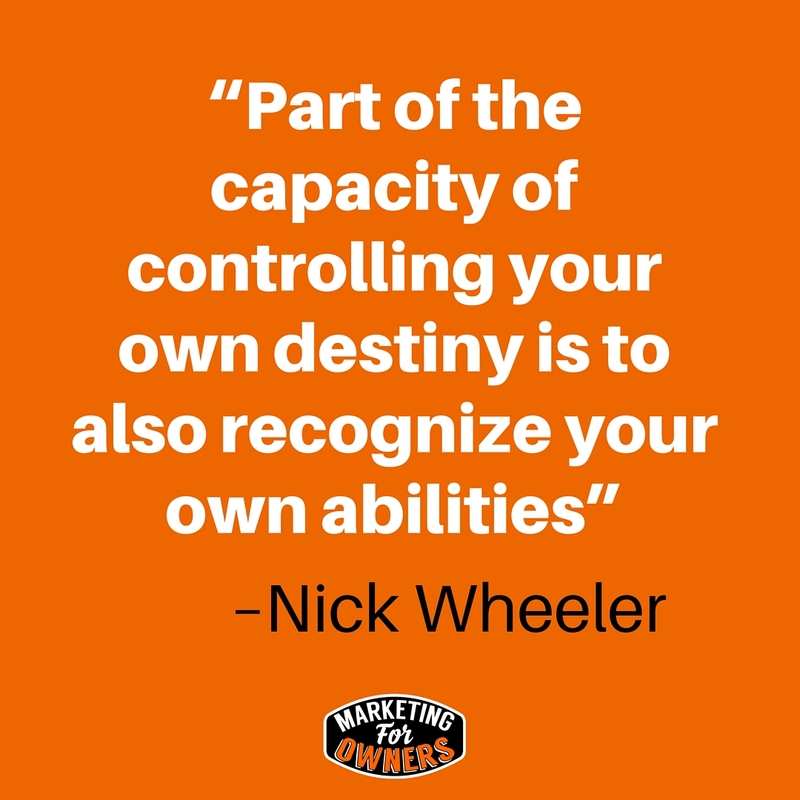 Nick shares that part of the capacity of controlling your own destiny is to also recognize your own abilities. Doing everything yourself is not only impossible but is actually going to go hold both you and the business back. There’s a well-used saying in the UK — jack of all trades, master of none. So make sure you’re trying to become the master of your trade instead. Do You Want To Be The Tortoise Or The Hare? Nick also shared that when you first start out, you’ll be making decisions which are important and will define your business for the rest of its life, so are you thinking long or short term? Who do you want to control your business and how are you going to raise the funds to get your new venture on the road of success? If you’re looking for instant success, you may sell off equity in your business to get it funded. This is a mistake many fresh entrepreneurs make, selling off parts of the business without fully considering the implications. Everyone with equity has a controlling stake in your company. And as a result, they will want to have an influence in order to make the best return for themselves. And if you sell off lots of stakes, all those people will have a say. It’s possible that with too many voices, no one is able to do move forward with their plans and the business ends up full of compromises, making it very unpredictable. Of course, this will be the right choice for many people. But for Nick, he preferred to take the tortoise approach. And it’s not about being greedy and wanting to not share the money and success. Instead, he wanted to stay focused and true to the brand. Raising funds shouldn’t be your first focus either. According to Nick, you should build proof to shows that your concept works. Then, once you’ve done that, you’ll have belief in yourself. And self-belief is all you might need to give yourself momentum. If you’re in it for the long term there is no need to rush. You can take all the time you need to build steadily and slowly. Remember, the tortoise won the race. The hare is always rushing, and will go boom and bust. He will exhaust himself and will likely not enjoy the journey, whereas I bet the tortoise enjoys his journey far more. In your business, the customer is the most important factor. Even more than the products. After all, without customers, there’s no one to purchase the amazing things you have to sell. So when your business depends on customers, you have to ask and know what your customers want. And keep in mind that their wants and need can alter. For example, you can sell a shirt without people needing to physically see it. A picture is generally enough to make an informed purchase. 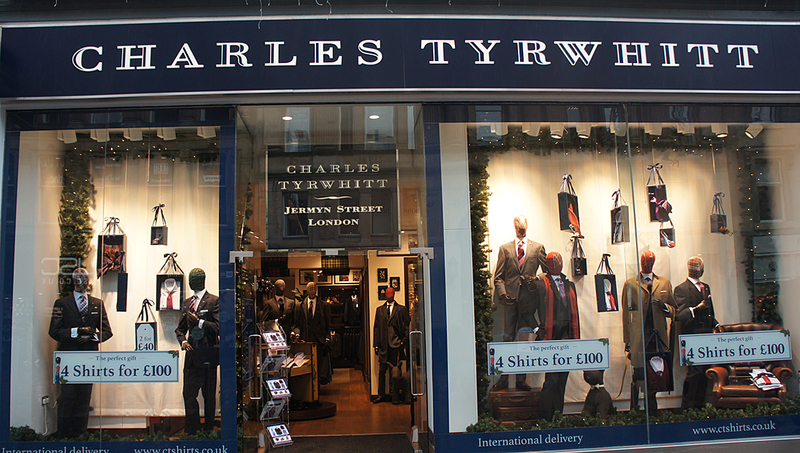 However, when Charles Tyrwhitt broadened out into shoes and suits, the needs of the customers changed as well. They are items which people are reluctant to buy without trying. The only way to truly know if you’ll think a shoe is comfortable to actually put it on your foot and take a short walk around the shop. And so they expanded into bricks and mortar. Opening one shop in London on Jermyn Street was the start. Customers were able to walk in and touch the products and try them on for size. It even gave them an actual person to complain to if they weren’t happy. People prefer that in place of them firing off an angry email to a faceless individual on the other side of the world. And for Nick, he found that having an actual shop gave the business more credibility. And being on Jermyn Street helped to put him on the path as being one of the leading sellers of gentlemen’s attire. When the focus in Nick’s own business waned, he found that the business suffered. Back in 1994, he was making £250,000 profit and decided to do what everyone else was doing, and acquire a business. He chose a children’s clothing company. Within just three months, he lost more money than he had made over the previous three years. This sent the business in receivership and took a number of years to recover. Back on his feet, by 2005, he had around 150 people working for him, and he discovered that his role had become managing people rather than the actual business. As a result, he thought it was perhaps time to step back and allow someone else the chance to run the business for him. They then made the decision to expand into women’s and children’s clothing. This then nearly resulted in the business going bust again. It was at this point Charles Tyrwhitt went back to doing what it did best – men’s shirts. Nick says that when doing two things at once, you are likely to be doing each thing half as well as you might if you were only focusing on just the one. But despite the ups and downs, Nick never gave up and, to this day, continues to work hard. This is because he loves what he does. Everything he does is to keep on track of his long-term view. And because he has no interest in selling the business to make himself money, he is completely loyal. And you could even say that he lost focus when it came to his wife’s business The White Company. He had a 25% share after giving her £5,000 to help start out back when he and Chrissie were dating. However, after not proposing while on holiday after 6 years together, she paid him back the money and took away his stake. Now, The White Company is equally successful as his own business, producing similar sales totals. He did, at least, get 1% as an eventual wedding present. It may have been something Nick always wanted to do but being an entrepreneur is not something that’s gone smoothly for him. However, he never gave up. Nick has always had self-confidence and believed he would succeed in the end. Although it can be hard to muster up that confidence at times, it’s a necessary factor in your success. 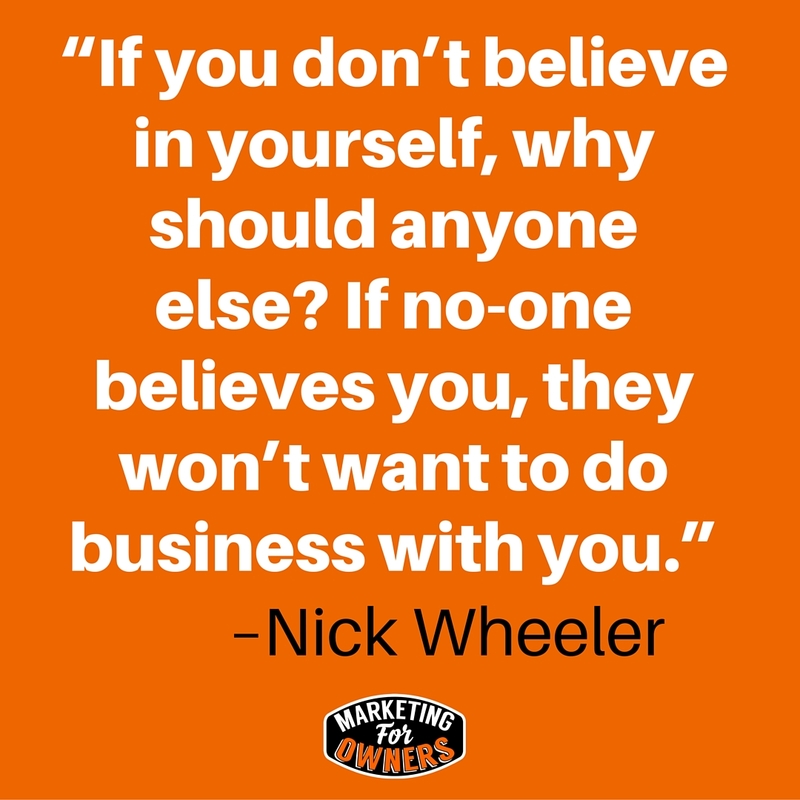 After all, if you don’t believe in yourself, why should anyone else? And if no-one believes you, they won’t want to do business with you. Just having that belief that everything would work out is what has gotten Nick to where he is today. And today, it’s easier to be an entrepreneur with the internet. After all, it is just a different version of mail order for businesses, and it has transformed Charles Tyrwhitt as well. The lifestyle is far more appealing, having to answer to no one but yourself, and controlling when you work and what you do — people are feeling fed up with the corporate way of life. 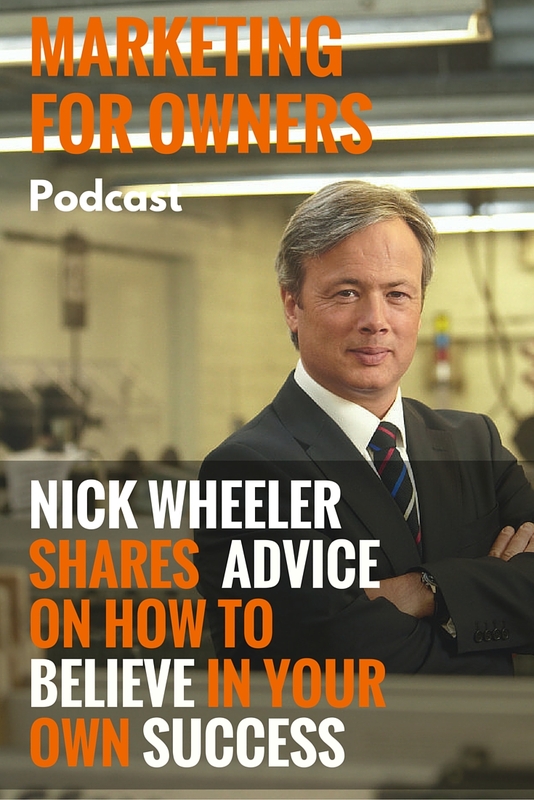 So what advice does Nick have for you if you are at the point of starting your business today? “These days, it isn’t hard to do, and the opportunity is there for anyone to take advantage of. But to truly succeed, you can’t give up. Even when it’s all going wrong and getting tough. Instead, you need to believe, just like I do that it will work. And if you stick at it and keep believing, you will do it. If you want to take a look at what Nick has achieved, then visit Charles Tyrwhitt. From there you can also get yourself dressed appropriately, no matter what the occasion. Or if you want to treat your home as well, don’t forget to take a look at The White Company founded by his wife Chrissie Rucker. If you want to see Charles Tyrwhitt shirts on a live model, watch my video podcasts. It’s where I buy most of my shirts.